Home / 2500 - 3000 Sqft (250 - 300 Sq. 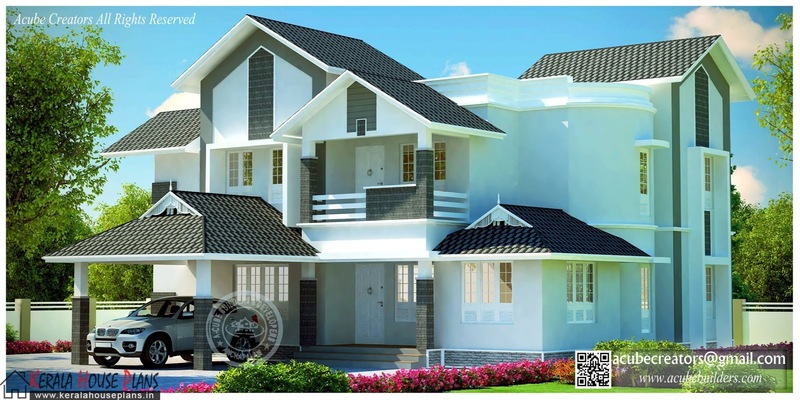 M.) / Double Floor Plan / Slop Roof House Plan / Thrissur / Wonderful Sloped Villa Design 2789 sqft. Wonderful Sloped Villa Design 2789 sqft.